Through our Companion Care service, caregivers for AmeriCare Tucson happily provide needed senior care for members of the Tucson community and beyond that are home alone for extended periods of time. Companionship is important to anyone’s well-being regardless of their age. 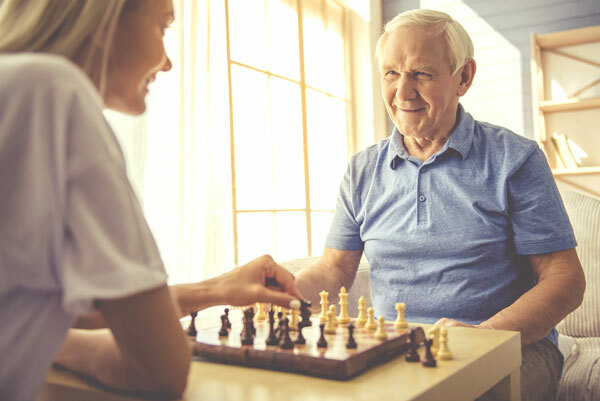 Meaningful relationships and companionship are crucial components in living a healthy lifestyle because they offer emotional security and help keep your mind positively engaged. Elderly care by day, personal chef by night. Our caregivers can help prepare meals, shop for groceries, monitor dietary restrictions and provide assistance in promoting a healthy lifestyle. Sometimes, having a home-cooked meal without having to fix it themselves is just what the client needed. Staying active promotes a healthy lifestyle. Our caregivers will encourage your loved one to turn off the TV and get moving. Whether it’s a walk up and down the driveway or assistance with physical therapy exercises, our caregivers can provide assistance to help your loved one stay active.